Earlier this month, Pope Francis, the Argentinian Pope, ruled that Archbishop Oscar Romero, who was murdered by a fascist death squad in 1980, had died as a martyr and will be beatified. Jorge Mario Bergoglio, or as he is now known in Spanish, Francisco, is the first pope from Latin America, and he unblocked Romero's sainthood process very shortly after his election in 2013. I remember the day well as we were riding in a taxi in Buenos Aires when the news of Bergoglio's election broke on the cab's radio. 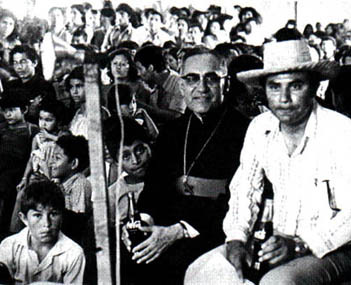 The process of Romero's sainthood had stalled under the conservative popes, John Paul II and Benedict XVI, all because they saw him as being much too close to Liberation Theology and the movement to align the church with the poor and to radically oppose injustice in society. 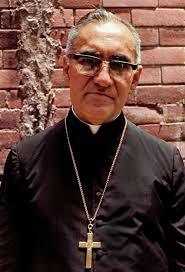 The Archbishop of San Salvador was shot dead on March 24, 1980, as he celebrated mass in a hospital chapel. One day before he had called on Salvadoran soldiers, young conscripts mostly, ordered to kill in the name of national security, to stop carrying out the government's repression and violence against the people of El Salvador. Romero's funeral, held six days later, attracted over 250,000 mourners, and was itself an act of protest against the US backed junta. The funeral was not without violence as government forces threw smoke bombs into the assembled crowd and army sharpshooters, dressed as civilians, fired into the chaos from the roof of the National Palace. Official reports claimed 31 deaths, but journalists and others reported as many as 50 deaths and many injured. To date, no one has been prosecuted for the assassination, nor has anyone confessed or admitted to involvement. It is widely believed that Roberto D'Aubuisson, a major in the Salvadoran military-intelligence apparatus, was responsible for Romero's murder and the attack on the funeral. In 1972 D'Aubuisson was trained at the infamous School of the Americas, an American Department of Defense "institute" in Georgia that provided training to government and military personnel from US-allied nations in Latin America. Torture and assassination were part of the training. Romero's murder was one of the more shocking moments in the long conflict between a series of US-backed governments in El Salvador and the FMLN or Frente Farabundo Mari para la Liberacion Nacional. The civil war, spanning almost 15 years, concluded in 1992 with a peace agreement and the democratic election of the FMLN. The war, sponsored by the United States, claimed over 75,000 lives. 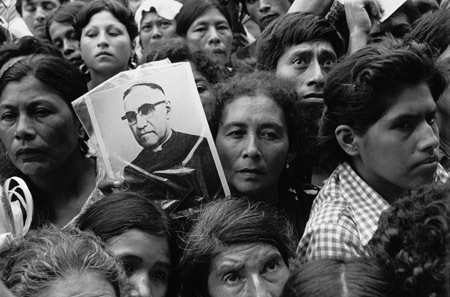 I was a much younger man when Oscar Romero was assassinated. I recall listening as As It Happens reported the story and its background. It would be another few years before I read any Liberation Theology, probably beginning with Gustavo Gutierrez and his 1971 book Theology of Liberation. In it, the Peruvian priest articulated his view of a preferential option for the poor; that the Creator has a distinct preference for those who are insignificant, marginalised, unimportant, needy, despised and defenseless. Later, there were other books, including the much more accessible, at least to me, Unexpected News: Reading the Bible with Third World Eyes by the American, Robert McAfee Brown. I'm not one to believe in miracles. Nor the power of prayer. The real saints of the world reside in places like the slums of Kolkata and the Downtown East Side. They are reflected in the faces of teachers and fast-food workers, and in the people who walk the streets, alone and afraid, hungry and cold. Saints aren't only named by some guy in Rome, even if he cheers for San Lorenzo. Still, it brings comfort to know that a martyred priest in Salvador, who could well have played it safe, chose to stand with the poor, the marginalised, unimportant, needy, despised and defenseless, is now being recognised officially as the the people of Latin America have known him for years: Saint Oscar Romero. Santo de America.